How to make Crispy Chocolate Almond Cookies? Sieve maida, baking powder, baking soda in a big bowl. Add all other ingredients in the same bowl and mix them well. Knead a soft dough by adding water gradually as required. Roll it out to make a sheet of 1/2″ thickness. Use your favorite cookie cutter to shape them. I used round one only. Arrange these cookies on a baking paper in baking tray. Bake them in pre-heated oven for approx 20 mins on 180 degrees. 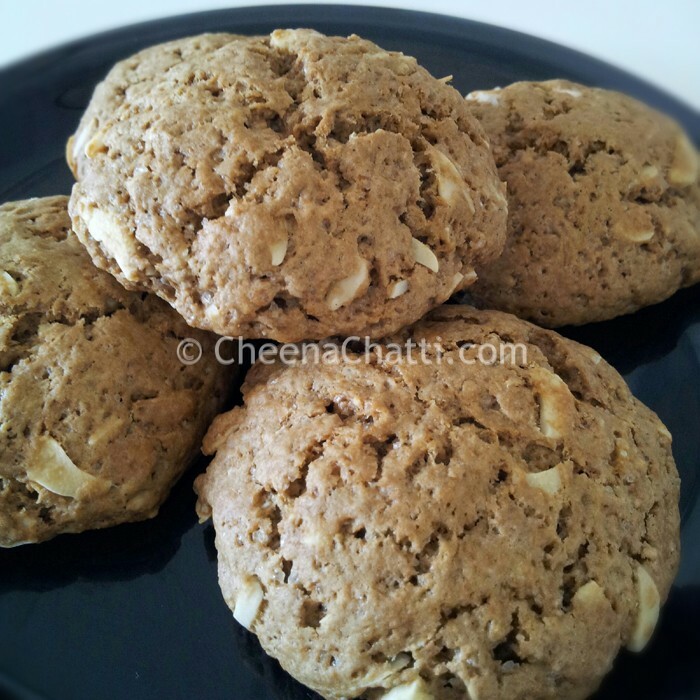 Enjoy these cookies with a cuppa coffee!!! Do you need more cookies recipes? This entry was added on September 25th, 2013 by SJ in Cookies and tagged with biscotti, chocolate chip cookies, almond biscotti, almond cookies, cookies, snacks. Last revised on March 27th, 2018.